The Costa Mesa Planning Commission will meet Monday, November 23, 2015 at 6:00 p.m. in City Council Chambers to consider even more development in our city. You can read the agenda HERE. WILL THIS ONE PASS MUSTER? The first of four (4) public hearings involves the demolition of an existing medical office building not too far from my home, at 350 E 17th Street and the creation of a smaller multi-tenant building with restaurant uses, HERE. The request involves a Deviation, a Variance, a minor conditional use permit and valet parking as needed. The staff recommends approval, subject to conditions. 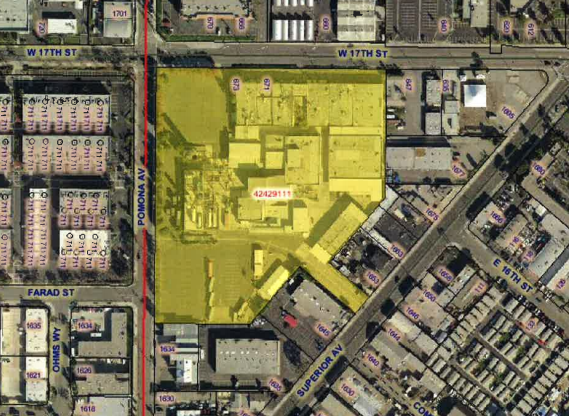 Public Hearing #2, HERE, is a second bite at the apple for the folks planning to develop 177 dwelling units on the old Argotech/J.C.Carter industrial site at the corner of West 17th Street and Pomona Avenue. The address is 671 W. 17th Street. The purpose of this request is to carve out the originally-approved one-lot condominium map subdivision into four condominium parcels. Each parcel will contain one product - detached live/work, attached live/work town homes and residential lofts. Public Hearing #3, HERE, should be a no-brainer. It's a request for a Conditional Use Permit to allow motor vehicle repair - a low volume, classic automobile repair business - in a building area already occupied by similar businesses at 1375 Logan Avenue, Suite J. In addition to meeting code requirements, but proposed business plans to operate 8 a.m. - 5 p.m., while code would permit 7 a.m. - 7 p.m.
Public Hearing #4, HERE, is for a two-unit common interest development at 217 Cabrillo Street. 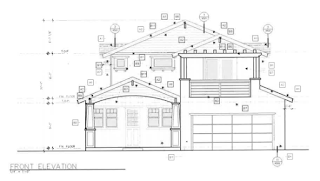 The project involves two two-story attached single family residences of approximately 2,190 square feet each, with four bedrooms/three baths and two-car attached garages. The units will be sold separately. 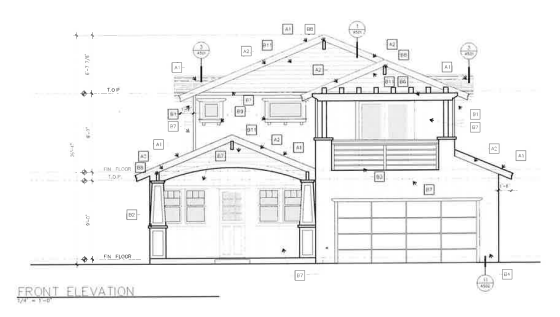 No color renderings were presented in the staff report, only this type of drawing. 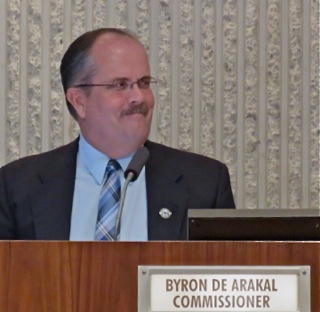 Earlier today the streaming video of the last Costa Mesa City Council meeting is available for viewing. You can find the entire 4:23 minute meeting HERE. There are several very important items on the agenda and, in my opinion, none should be ignored or overlooked. 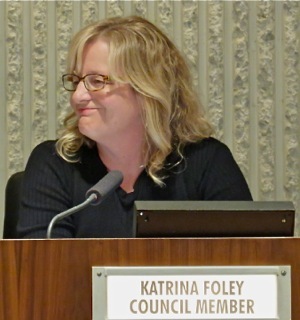 However, many folks in the community are anxious about the heated exchange that occurred between Mayor Pro Tem Jim Righeimer and Councilwoman Katrina Foley - which also involved Mayor Steve Mensinger and City Attorney Thomas Duarte. Unfortunately, the nifty "jump to" feature on this clip is fouled-up - which apparently happened during a botched transfer of data to Granicus which has delayed the presentation of this video until today. 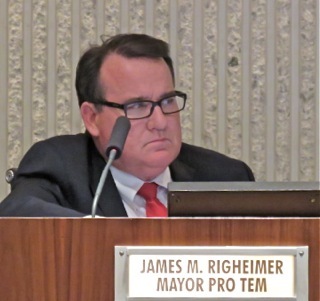 So, to find that squabble, simply drag the round ball on the scroll bar over to 52:50, which is where Righeimer begins his segment of Council Member comments. He first speaks about the Veterans Day event at his children's school, then - at 54:00 - he begins to talk about the labor contract between the City and the men and women of the Costa Mesa Police Association - the group he and the mayor are suing - something he overtly mentions at the beginning. Because he and the mayor are involved in a lawsuit with the association they are specifically forbidden to participate in the negotiations. However, in my opinion, he took advantage of his position on the dais to illegally provide a commentary designed to influence the negotiations by making his statements in front of the three other members of the council who CAN negotiate - Gary Monahan, Sandra Genis and Katrina Foley. At 55:40 Foley interrupts Righeimer for the first of many times and Mensinger attempts to shut her up at about 55:55. At 56:45 Duarte, responding to a question, opines for the first of many times that Righeimer MUST keep his comments general in nature and must NOT influence the negotiation. This went on and on, back and forth, with Righeimer talking, Foley talking over him and Mensinger trying to get her to shut up. Finally, at 59:05 he pounded his gavel and took a short break. The break duration is deleted, so on the scroll bar they resume at 59:30, with Righeimer absent. 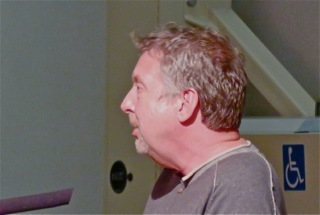 Mensinger makes his comments, then you see Righeimer walk behind him with a handful of papers. Seems he made copies of the information available on the city web site and intended to read it. At 1:01:30 Foley requested a point of personal privilege to respond to the condescending comments Mensinger made following the break. At 1:03:15 Monahan attempted to clarify the issue - he had been laying low before that. He shoved his chair as far back as he could to stay out of the line of fire, so to speak. At 1:03:50 Righeimer took off again, reading from the papers he brought. Foley again interrupted him, criticizing him for his tone and commentary. At 1:04:55, in response to Foley's observation that he was breaking the law, Righeimer said "Listen, I'm gonna speak and if you'd like to sue me at the courthouse, line up." He goes on and on, reading from documents he brought with him, with Foley interrupting him. He finished at 1:08:05. At 1:08:08 Foley said the following: "Congratulations for influencing the process and possibly blowing up our negotiations. Congratulations, Mayor Pro Tem Righeimer. I hope you feel better about influencing the ability of us to retain and recruit police officers in The City of Costa Mesa when we're down!" Take your time. The few minutes of your time you invest will be worthwhile. 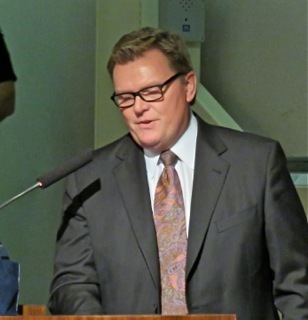 And, of course, I encourage each of you to watch the entire video because the three major issues on the agenda - the Costa Mesa Motor Inn; the Group Home Ordinance and the New Library proposal certainly deserve your attention. 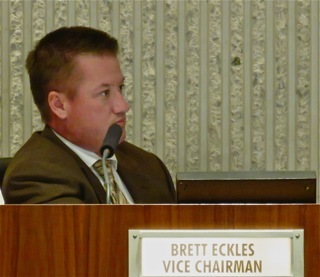 At the meeting of the Costa Mesa Parks and Recreation Commission Thursday, November 19, 2015, the commissioners voted to approve the staff recommendation about the future of the Costa Mesa Bark Park. Read the staff report HERE. 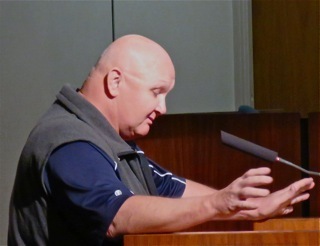 Following a short presentation by Travis Karlen, Recreation Manager, and brief comments by the commissioners, eight (8) people stepped up to the podium to address this issue, most of whom had some concerns. 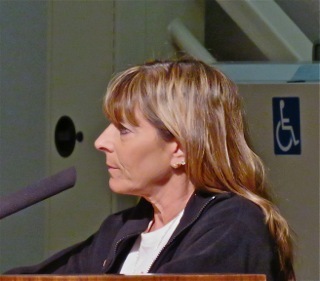 Costa Mesa resident Janice King, a Bark Park user, was concerned about the proposed rules "dividing" the city and about the technology to be employed. She also thought a non-residents should have a different fee than residents. 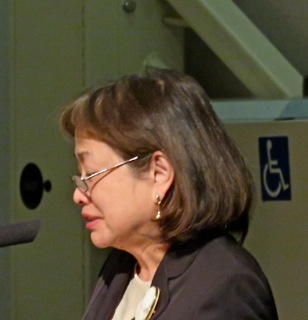 Linda Quan also worried about the fee structure, who will monitor access, the constitutionality of the plan and the discrepancy between the current code which allows a resident to have 5 critters and the plan for the Dog Park which restricts each handler to three dogs. Claudia, a Santa Ana resident, suggested corporate sponsors to help with the expenses of the park and was concerned about the fees being a burden on seniors. Helena Roberts, a Newport Beach resident, suggested we follow Santa Ana's lead and go door-to-door to collect license fees. She was also concerned about a "card system" having a negative impact on businesses. 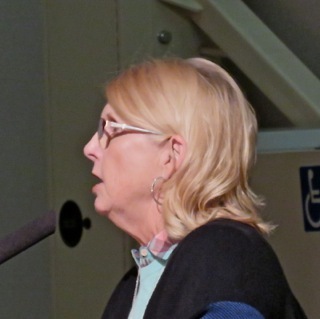 Shirley McDaniel, a Costa Mesa resident and long-time functionary of the old Bark Park Foundation, said the change was not necessary and expressed that there is no restroom at the Bark Park. 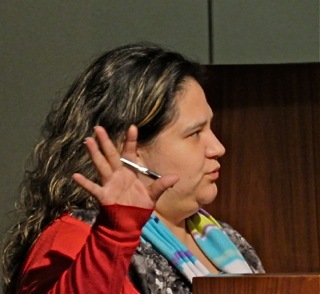 Beth Refakes worried about the cost of the proposed key fob and the installation of the access control point. She was also concerned about indemnification and diseases from dogs. She expressed concern about disabling key fobs if persons leave the area or otherwise stop using the park. 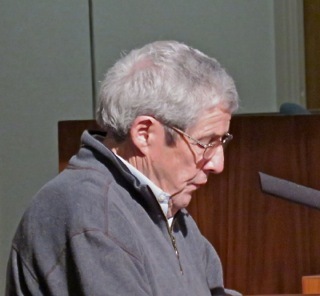 Al Melone, who has run for City Council on the Bark Park issue in the past, suggested retaining the limitation on the number of dogs each user could bring and bemoaned the loss of the "old park", which was - in his words - 80-90% green grass and peaceful. He told us he has used other parks since the city took over operations. James Simmons, a Costa Mesa resident, uses the Dog Park 5-6 nights a week and opined that every animal using it be spayed or neutered to prevent bad behaviors. During the subsequent discussion, thanks to a question by Vice Chair Brett Eckles, we learned that, since EVERY dog using the park will be required to be licensed, there would be NO ADDITIONAL cost for the key fob used for park admittance. 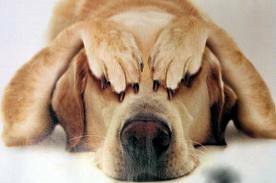 The current license fee is $25.00 for animals spayed or neutered and $80.00 for those not. Restrooms are available at the Skate Park and Tennis Center. 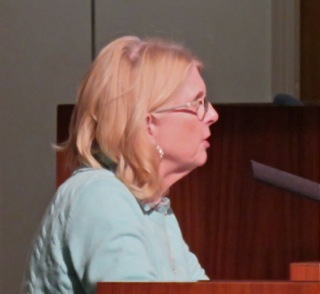 Karlen told the commission that Field Ambassadors, Park Rangers and the 20 hour-per-week Maintenance person would monitor park visitors and their behavior. 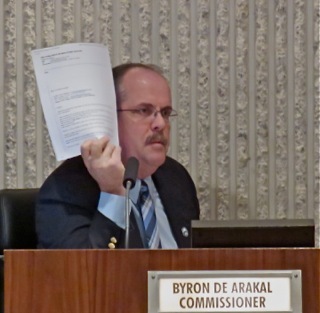 At the end, Commissioner Byron De Arakal moved to approve the staff report, including the 3-dog limitation. His motion also called for the City Attorney to reconcile the incongruities between the new plan and current city code. The age of dogs requiring licenses and park entrance is different, for example. Read the staff report for all the details of the current condition of the park, improvements that have been made AND the terms of the changes passed on a 5-0 vote by the commission. It will now be massaged by the staff to fine-tune it, then be presented to the City Council early next year. Earlier in the meeting the Consent Calendar item regarding the operation of an Adult Sports Futsal program at the Downtown Athletic Center was pulled for discussion. You can read that staff report HERE. Basically, Futsal is, according to the staff report, a fast-paced form of soccer which can be played on a hard court surface. The proposal is like those of other adult sports leagues, which is defined in the staff report. 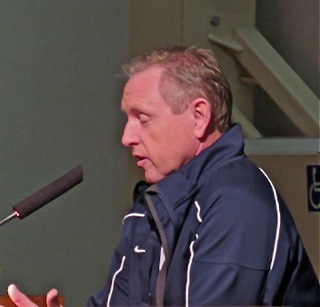 Long time youth sports leader Mark Arblaster spoke on this issue favorably. The commission voted to approve this concept, 5-0. 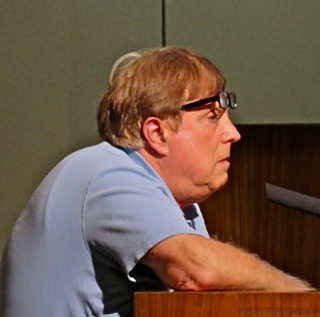 At the very beginning of the meeting, during Public Comments, a man named Bob Servin - self-described 25-year resident with 30 years as a coach and teacher in the Newport-Mesa Unified School District stepped into the well and handed papers to the commissioners, then told them about incidents with the Commissioner of the Friday Night Lights Flag Football program, Scott Mahaffy - behaviors that sounded like bullying to all in the audience and, apparently, to the commissioners, too. Servin has a son playing in that program and he, Servin, is a coach of his team. Suffice it to say that there was enough concern about the behaviors described that de Arakal, holding up the papers and clearly very agitated, asked staff to immediately investigate the claims made by Servin. 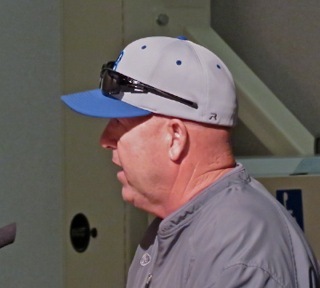 Some will recall that Mahaffy is not a stranger to controversy - most recently involving Matt Leinart Flag Football program and the allocation of fields to that program. It will be interesting to see how this shakes out. 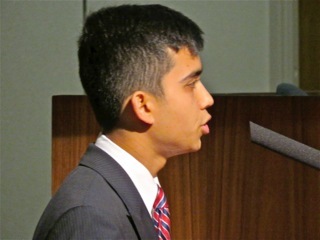 Karlen ended the meeting with his report, which included affirmation of the creation of a new R.O.C.K.S. after school program at Rea School. 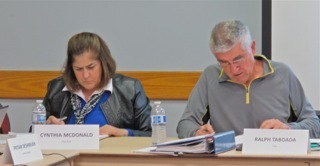 The Parks and Recreation Commission will not meet in December due to the Christmas holidays. Their next meeting will be in January, 2016. Happy Thanksgiving, Merry Christmas and Happy New Year to them all. You can read that staff report HERE. Any of you who use that facility NEED to read this report and/or attend this meeting or watch it live on CMTV or on streaming video. The meeting begins at 6:00 p.m. in City Council Chambers. I'll report on it later tonight. 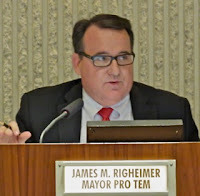 Because the last Costa Mesa City Council meeting was packed with interesting, controversial items, and because Mayor Pro Tem Jim Righeimer had another intellectual meltdown and probably violated confidentiality laws... and because, curiously, the streaming video of that meeting is not yet available, as a public service I provide you with the replay schedule of that meeting for the next few days. 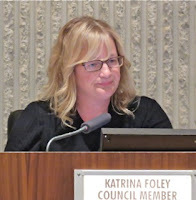 It's fascinating to watch Righeimer ignore the rules, and watch Katrina Foley - who knows more than a little bit about the law - try to get him to shut his yap. 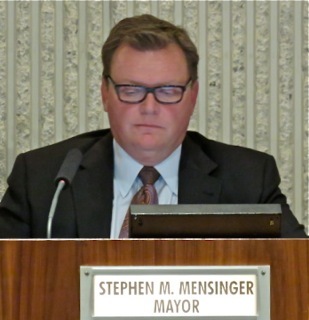 It's entertaining to watch Mayor Steve Mensinger unable to control, and to pound that gavel Righeimer gave him to call for a break. It's interesting to watch Righeimer ignore City Attorney Tom Duarte's admonition about keeping comments VERY general in nature, several times. 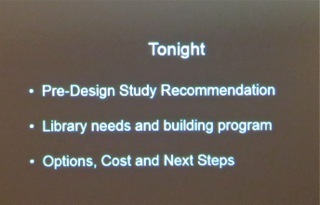 In addition to that entertaining bit of theater, three very important items were on the agenda Tuesday night. The future of the Costa Mesa Motor Inn was first up, followed by the second reading of the latest Group Home Ordinance and, finally, the proposal to spend $35 million to build a new library, convert the current library to a meeting space and add an acre of open space to Lions Park. 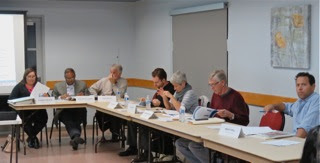 At their second meeting of this month Wednesday evening the Costa Mesa Bikeways and Walkability Committee continued to make excellent progress in crafting their Goal, Objectives and Policies. 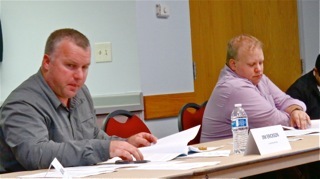 Eight members showed up - nine if you count non-voting Chamber of Commerce representative Brent Stoll - and continued to focus tightly on the task at hand. 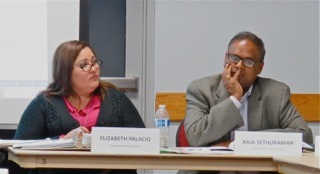 Under the steady hand of Chairman Ralph Taboada and Vice Chair Cynthia McDonald and the guidance of Transportation Services Manager Raja Sethuraman and his staff and consultant Rock Miller, they carefully sliced and diced the phrases and thoughts. They reduced six goals to five by consolidating a couple elements and shuffled others around. They fine-tuned the language so the thoughts flow with precision. It looks like they will put the finishing touches on this process - only the beginning of their overall task - at their next meeting on December 2nd and, perhaps, be ready to submit this work product to the City Council for inclusion in the General Plan in January. Once again, a small crowd - if you can call seven of us a crowd - sat and watched the process. Yes, it's slow to those in the audience, but the result is going to be worth the effort. Again, thanks to those who are participating in this process. I'm amazed at the civility, tenacity and care with which they go about this job. It's a pleasure to watch. 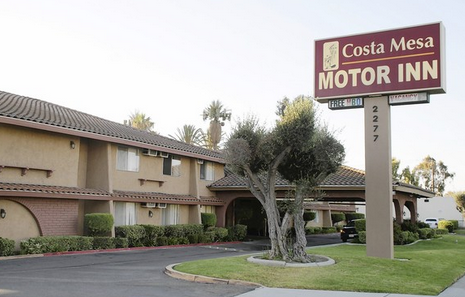 ADIOS COSTA MESA MOTOR INN, HELLO, NEW LIBRARY AND LOOK OUT, GROUP HOMES! Last night the Costa Mesa City council gave the second reading to the re-zoning and code amendment that will facilitate the demolition of the Costa Mesa Motor Inn, to be replaced with luxury apartments; it gave second reading to the latest Group Home Ordinance and agreed on a new library complex at Lions Park. More on all those in a minute. At the beginning of the meeting Mayor Steve Mensinger, in his usual clumsy fashion, presented his Mayor's Award to Hydee Beth and Donna Barnhard-Swift for their tireless work in the local schools. Among the nine speakers during Public Comments Beth Refakes lead off and reminded us of the Toy Drive for the children of the 1/5 Marines, currently deployed from Camp Pendleton. 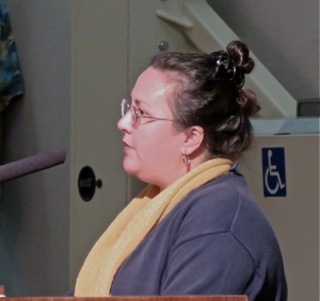 Long time community activist Cindy Brenneman stepped up and told the council that events in Paris last week reminded her that she should not be afraid of speaking her piece before them, even though it might cost her a volunteer position. Chuck Perry spread a rumor about the Boy's Club on Tustin Avenue shutting down. Subsequent discussions on this made the eyes of the Mayor and Mayor Pro Tem light up as they contemplated yet another chunk of land that might be available for defiling. Mayor Pro Tem Jim Righeimer was not yet in the room. An unidentified person raved about the Veterans Day celebration at the Fairgrounds on the 11th, thanked the women on the council for attending, chided the men for NOT attending and observed that the CMPD missed a recruiting opportunity. It is widely believed that Mensinger and Righeimer chose to miss that celebration because it was hosted by organized labor. 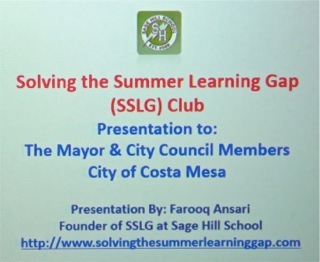 Young Farooq Ansari stepped up to introduce a program that may help fill the knowledge gap among school-age children and was referred by Councilwoman Katrina Foley to Recreation Manager Travis Karlen for followup. Ralph Taboada again suggested the council re-prioritize their spending, with less going to roads and fields and more consideration for Pension pay down. He criticized the city for not negotiating with Public Safety organizations, observing that it has cost nearly $1 million in pension contributions that the organizations would have made by now that are being paid by the taxpayers. 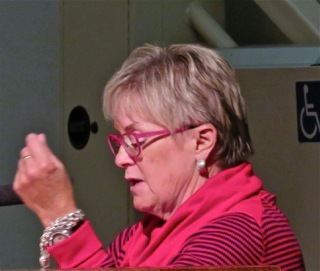 Former councilwoman Wendy Leece spoke of Paris, then demanded - again - to know the status of the Fire Department redeployment plan that is now two and half years old. She also wondered about Fire Station #1, and the study that was done a few years back that suggested a better location would be at the corner of Harbor Blvd. and Baker Street. Another unidentified person asked Righeimer - now finally in attendance - to recuse himself from the upcoming vote on Group Homes because he was affiliated with Scott Baugh, who was paid to lobby on behalf of sober living groups. 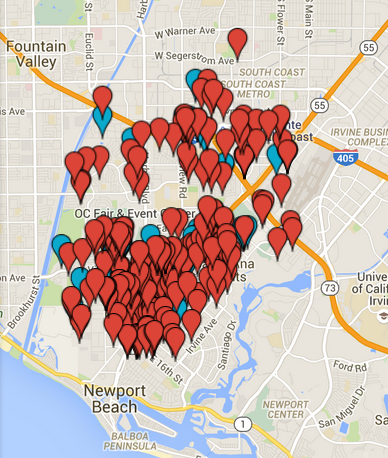 She also displayed the bubble map showing group homes that appeared on this blog earlier. Righeimer denied ever working for Baugh. During Council Member Comments Katrina Foley led off with comments about the recent Art event and the Veterans Day event, citing that it was a bi-partisan event and asked CEO Tom Hatch to be sure the city is represented at such events in the future, including publicizing them. She also asked for 15 volunteers to be docents for the upcoming Costa Mesa Home Tour on December 3rd. 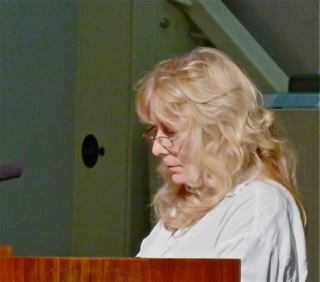 Sandra Genis spoke about the Veterans Day event. Regarding Affordable Housing, she observed there is a "lot of State and Federal Money" available, but we need to have a site. She encouraged the City to actively seek such a site. She addressed the rumor about the Boy's Club, telling us that the City does own the land on which it's located. 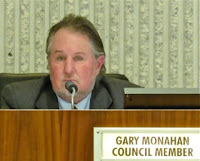 Gary Monahan had nothing to say - at that time - as usual. 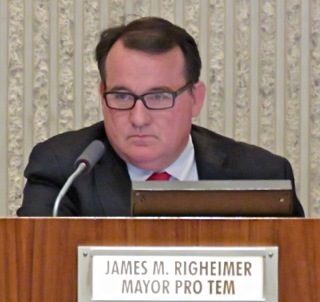 Righeimer, for whatever reason, decided it was time for him to violate the law by commenting on the status of the labor negotiations between the City and the Public Safety organizations. He and Mensinger are forbidden to participate in the negotiations with the Costa Mesa Police Association due to the lawsuit they filed against the CMPA. As he began Foley interrupted him to remind him he was forbidden to comment on this issue because of the conflict of interest. Mensinger tried to shut her up. She pleaded with City Attorney Tom Duarte to intervene, and he reminded Righiemer that he could only speak in general terms. Righeimer kept talking, she kept talking until finally, once again, Mensinger banged the gavel Righeimer gave him when he took office and called for a break. It didn't help. When they returned Righeimer came armed with information from the City web site, but Foley interrupted him again, pleaded with Duarte again, who reminded Righeimer again, and he kept on talking. When he finally finished Foley got the last shot - she accused him of grandstanding and sarcastically thanked him for possibly blowing up their negotiations and making it difficult to recruit officers when our staffing numbers are down. I looked around the room, which included a dozen students observing government in action, and wondered what they must be thinking about this display... Good Grief! It was finally Mensinger's turn, so he asked Hatch to follow-up on the Boy's Club rumor, spoke about the Veterans Day event at the school, the Fire Station and staffing. One item was pulled from the Consent Calendar - #7, the "Resident Only Parking Permit" issue for certain streets in the Halecrest section of town. Mensinger decided to actually hear that item immediately instead of trailing it to the end of the meeting, per policy. Five residents spoke to the issue - four in support and one against. The one against lived in the apartments across Baker Street that are the crux of the problem. After a half hour of testimony and discussion the item was approved on a 5-0 vote. It would have been anyhow if it had not been pulled for separate discussion. The remainder of the Consent Calendar earlier passed in one vote. Next up was Old Business #1, the second reading of the rezoning request and code change for the Costa Mesa Motor Inn to be demolished and 224 luxury apartments built in its place. Unlike when it was first heard by the council, only four speakers addressed this issue. 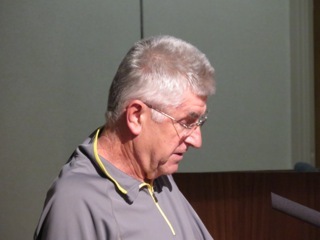 There was no other staff report presented since it was a second reading, nor was anything offered by the applicant nor his representative, former city official, Don Lamm. We heard many of the same arguments by council members about that motel "not being a place to raise families", and yet there are many families living there. We had sprung on us, and on some members of the council, too, the fact that Larry Haynes of Mercy House has offered to volunteer - free of charge - to help displaced residents of the Costa Mesa Motor Inn find new housing. You will recall that many of them may qualify to receive the stipend from the owner that could be as much as $5,500 dollars. Plus, the owner has offered to give the city $200,000 toward helping other displaced people with housing issues. There was some confusion on the dais about how those funds will be administered. Foley, for example, apparently thought Haynes would be involved in that money, which Righeimer denied. One of the speakers asked if the City would back off their active pressure on other motels in the wake of the Costa Mesa Motor Inn situation. Righeimer blurted out, "Absolutely not!" 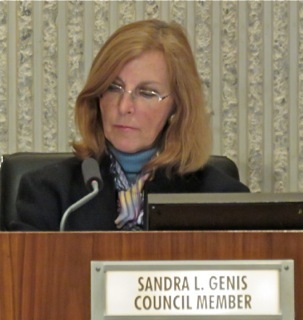 Genis said she wouldn't support the motion, again, because it was not properly handled in the process. She mentioned the Mitigated Negative Declaration as being improper and went on to cite inconsistencies in the General Plan, including the 54 dwelling units per acre that's being granted for this project. "I'M HERE TO CLEAN UP THE COMMUNITY!" 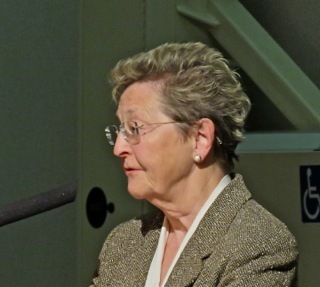 Righeimer made a motion to move it forward and, during the subsequent discussion, snapped at Foley on the issue of affordable housing, saying "You bring a project!" and later said "I'm here to clean up the community." Funny, I don't recall anyone asking him to do that. 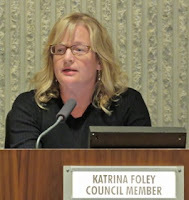 Foley replied that "Mayor Pro Tem Righeimer acts like he's the only one who did anything good up here." and again accused him of grandstanding. She expressed distrust of what she called "machinations" going on behind the scenes. CONFLICTS WITH THE DEAL MAKERS? 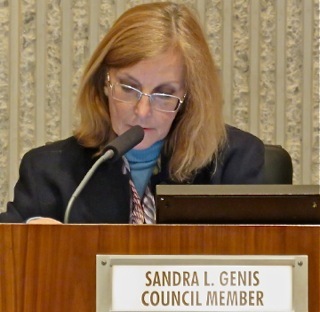 At that point Genis asked for a report from the City Attorney on the possible conflicts with council members "Putting together a deal", then voting on the specifics of those deals. Righeimer is notorious for spouting off about making deals. The votes on this issue were both 4-1, with Genis voting no. A little after 8 p.m. we took up Old Business #2, the Sober Living ordinances for other than R-1 zones. During the presentation mention was made of a Supplemental Staff Report dealing with vehicles being used to transport "clients" around town, from residences to meetings. No such document was available for review in the council chambers. A half-dozen people spoke to this issue. 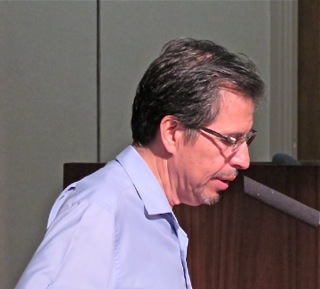 The first was Fernando Pedregon, representing Solid Landings. He continued to be concerned about the provision in the ordinance that requires the operator to transport a dropout client back to their home. He cited HIPPA regulations - those folks are considered ill - and offered to work with the City to find a solution. Jay Humphrey addressed his concern about contiguous units on Royal Palm, observing that they were within the 650 feet restriction zone. 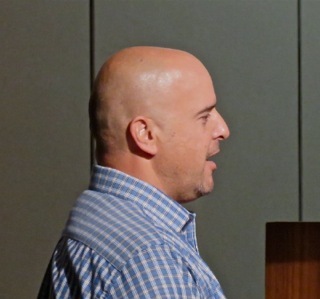 When he stopped speaking and left the podium Monahan called him back and asked him if he supported the item. Humphrey reiterated his position on the proximity issue, but Monahan persisted. It was very clear that he was trying to get Humphrey on the record on this issue - most likely to be used against him during the upcoming election season. 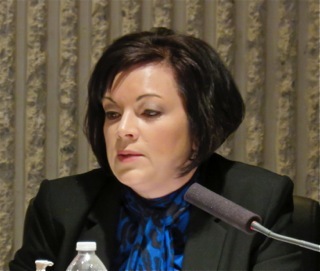 It is presumed Humphrey will run again, having lost to Righeimer in the last election by only 47 votes. An unidentified speaker observed the map that had been presented by another speaker earlier and speculated that the numbers of group homes on that map could be only half-way to being accurate. It's possible, she opined, that we might have 500 group homes in this city, and that we cannot regulate state licensed facilities. 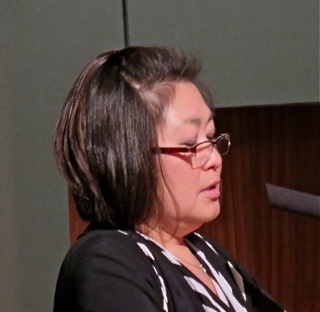 Wendy Leece observed that Costa Mesa had become "Ground Zero" for group homes in Orange County, and wondered why. She also observed that we are "really weak in enforcement". Grant McNiff, who told us up front that he does not own nor operate such a facility, opined that the peer management model is valid, and that we should work together to toss out the bad operators. 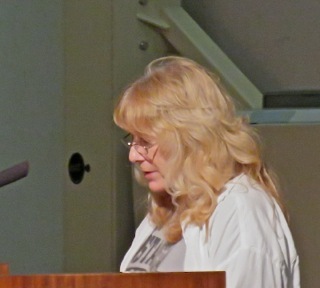 The unidentified speaker who first showed the map spoke again, attempting to refute Righeimer's denial of working for Scott Baugh - who was lobbying for sober living interests in Sacramento. She presented a press clipping from an online radio show that identified him as working for Baugh, but was distracted from presenting it. She told us that we should be considering the City of Orange ordinance as a model. Following more discussion Hatch told us his staff had looked at the map presented last night and tried to compare the locations the City knows about with the total number on the map. He said 27 of the locations will require further investigation, and thanked the activists who prepared the map for their work. Just before 9:00 p.m. the council passed both items on 5-0 votes. Let the lawsuits begin! 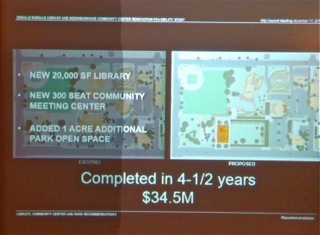 Finally, we got to New Business #1, the plans for the new library/community center and improvements at Lions Park. 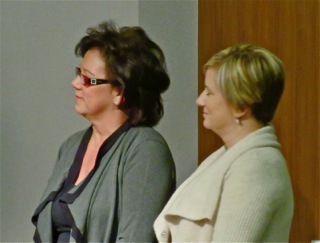 Assistant CEO Tammy Letourneau kicked it off, then handed it to the consultants. I'm not going to try to cover every word, every slide that was shown during the presentation by consultant Steve Johnson of Johnson Favaro. I'll show you a few that are particularly relevant, but suggest you go to the City web site, click on CMTV at the bottom of the home page, then select Videos On Demand and look for the council meeting clip. You can use the "jump to" feature to fast-forward to this item. 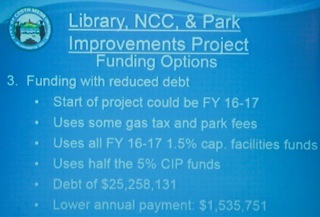 Johnson's presentation is excellent - I've heard it a couple times now - and Interim Finance Director Steve Dunivent's presentation of funding options is also well worth watching. In a nutshell, the plan approved last night calls for the demolition of the existing Neighborhood Community Center and the erection of a two-story new library on approximately the same site. Then, once that's completed, the existing Donald Dungan Library building will be renovated to become the new community center. 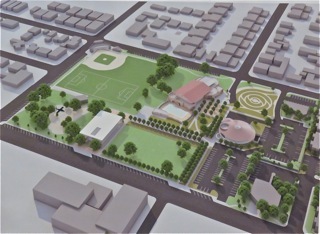 One of the byproducts of this plan is the creation of another acre of park space within the footprint of Lions Park. Parking, although modified will be basically the same number of spaces. Genis took exception to the numbers used by the consultants regarding available space and how the numbers were calculated. She chose not to vote against the proposal, but asked the staff to investigate exactly how high-volume users might find replacement sites. 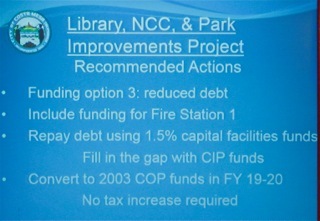 There were several funding options for consideration. The staff recommended number 3, which is defined on this slide. 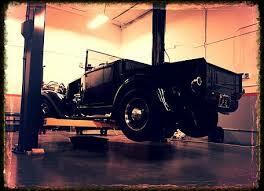 It balanced cost and the interest in getting this project going sooner than later. And, it includes funding for a replacement Fire Station for the crumbling #1. The new complex will cost around $35 million and the new fire station will cost over $8 million. 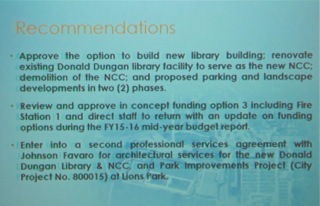 Helen Fried, Orange County Librarian (the County of Orange runs the Dungan Library) spoke and heartily endorsed the plan. The county has agreed to staff the new, expanded library. 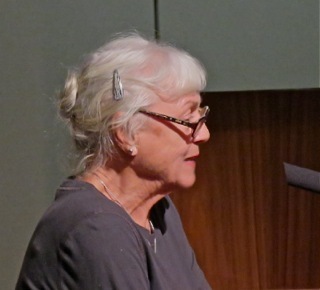 Four members of the public spoke, including MaryEllen Goddard who, with her husband, Art, have long sought a new library in our city. Finally after 90 minutes of presentations, discussions and speakers, the council voted 5-0 to move forward with the staff recommendations. There were cheers in the audience.